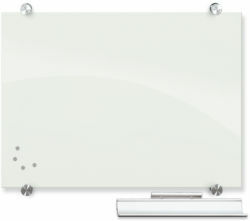 Just because you’re old whiteboards are scratched, dented or stained doesn’t mean they need to be replaced. 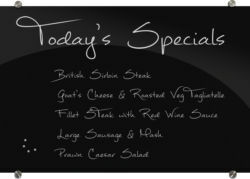 You can save money and get an amazing work surface by using one of our dry erase board surfacing options. 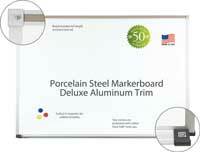 At DryEraseBoard.com, we offer a number of great options to resurface markerboards that have seen better days. From vinyl sheets to porcelain steel with self-adhesive backing and beyond, our markerboard resurfacing options give you plenty of ways to renew your existing dry erase boards while meeting your needs and your budget. With New-Rite replacement vinyl, you can easily cut a sheet into the size you need then simply peel and stick it to apply. 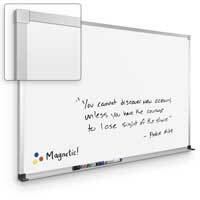 The high-quality white surface offers a superior surface that’s easy to write and erase on and is TAA compliant. For a long-lasting solution, consider getting a Wallboard in porcelain steel which features an incredible 50-year guarantee. This also applies easily with a self-adhesive backing. You can also purchase panels made from durable porcelain steel sheets. These and our unique retro-finish panels are easily screwed into an old markerboard to create a fresh, clean work surface. Each of these options offers an easy and affordable way to resurface markerboards in a classroom, office, meeting space or other facility. 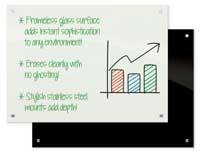 At DryEraseBoard.com, we have the experience and expertise to match you up with the perfect dry erase board resurfacing products to meet your needs. If you’re not sure which type of product to buy to resurface markerboards in your space, just get in touch with us and we’ll find the best match based on your needs. 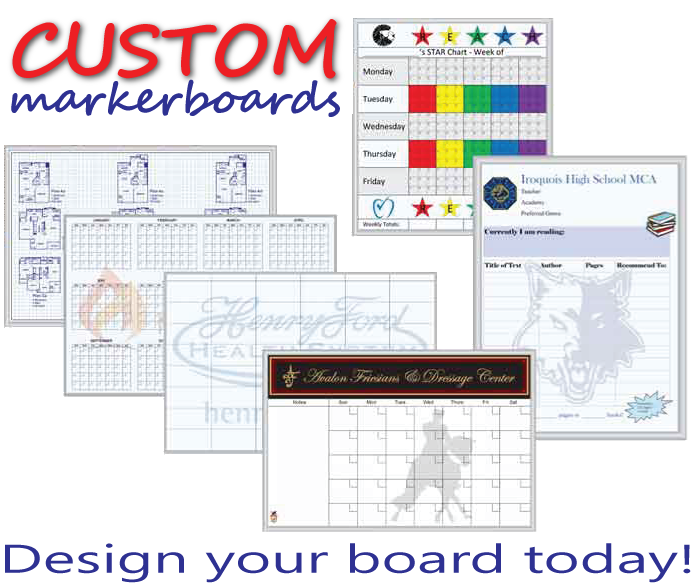 Order all the markerboards and accessories you need right here at DryEraseBoard.com.